Today, defendant pumpkin patch no longer operates a petting zoo. But the bigger concern is the lack of regulatory oversight on similar operations. 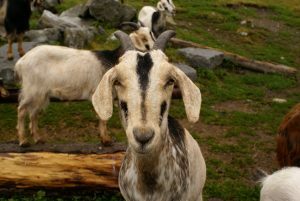 Although petting zoos can be a lucrative means of drawing customers to a given site, they are fraught with risk, particularly with regard to diseases that are passed between animals and humans. These businesses need to make sure that not only do they have the necessary level of workers to police interactions between visitors and animals, but also that they have adequate warnings with regard to hand-washing and that they have adequate insurance in case a child injury does occur. In the case out of Minnesota, the children were ages 15 months to 7-years-old, and they became ill after petting goats and cows at the site, according to epidemiologists. Although two of the children recovered fairly quickly, one young girl suffered serious complications. The state health department reported that at the time of that incident, there had been nearly 120 cases of E. coli just so far that year (it occurred in the month of October). Kidney failure such as what this girl suffered only occurs in about 5 percent of E. coli cases, but it can be fatal. As health officials noted, visiting farm animals can be a positive experience for children and families, but it’s imperative that visitors wash their hands afterward – and that they provided adequate instruction and facilities to do so. This case out of Minnesota is far from an isolated incident. In Maine in 2015, a couple alleged their toddler, just 20-months-old, died after contracting E. coli at a county fair petting zoo. it started with severe diarrhea and then progressed with major brain seizures, which ultimately killed him. Five other cases out of Florida – four in Orlando and another in Plant City – devolved into the same kind of serious kidney infection as the girl from Minnesota. That girl’s family are now pushing for laws that would mandate certain safety precautions, such as hand-washing stations.